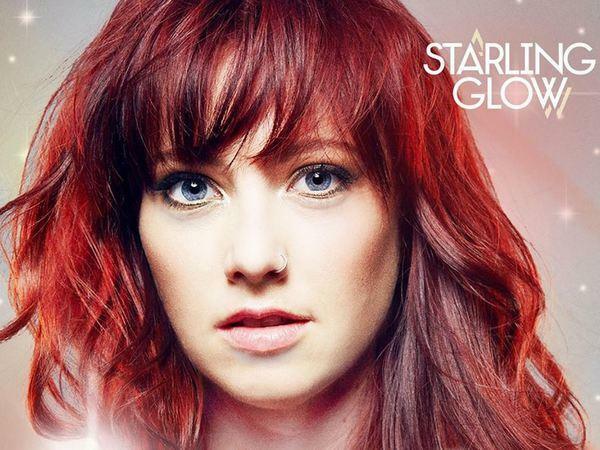 Join us this week as we welcome the pop rock band, Starling Glow. The LA based band fronted by Liz Hill, has just released their brand new single “Caution Tape,” which comes off their debut EP. Liz Anne Hill took about 15 years and a few busted romances to create the songs that make up her band Starling Glow’s self-titled debut album, a blend of modern pop musical styles that ranges from pop/rock to dance and indie. Grammy nominated producer, songwriter, and musician Billy Mohler, one time member of L.A. band The Calling, who has also played or worked with Smashing Pumpkins, Macy Gray, Liz Phair, Kelly Clarkson, AWOLNation and skateboard pro Tony Hawk was hired to produce the record and immediately recognized the fellow Orange County native’s talent. The record was just released this past March through the newly formed Indie Label Trailblaze Music Group, where Mohler is General Manger. A multi-instrumentalist, Hill grew up in Orange County surrounded by music. Her mom played piano, her dad guitar and older sister piano, pipe organ and drums, while they all sang. Her earliest musical influences include blues/country artists like Bonnie Raitt, Shania Twain and Dolly Parton, while learning to play Jimi Hendrix and Steely Dan songs on bass. We will talk to Starling Glow about their upcoming schedule, get a behind the scenes look at their music, feature their latest songs, and ask them to share their message for the troops. Please be sure to visit Starling Glow at http://www.starlingglow.com/ and spread the word. Fans are welcome to call in and speak live with them during the show (718) 766-4193. If you would like to participate in the live chat during the show, you must sign up on the show site first and then log in during the show. As always we will give shout outs to our deployed military listeners. Our message to the troops: WE do what we do, because YOU do what you do.